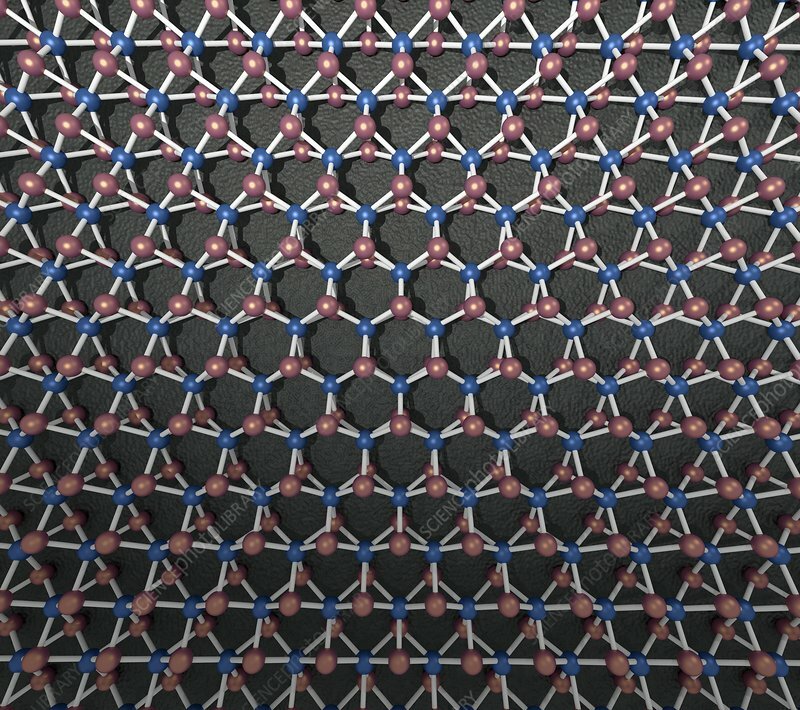 Model of hexagonal transition metal dichalcogenide monolayer (TMD). A layer of transition metal atoms such as molybdenum, tungsten or tellurium is sandwiched between two layers of chalcogen atoms such as sulphur or selenium. TMDs are semi-conductors currently being investigated for their interesting microelectronic and chemical properties.